Established in 1981 Sircal Instruments (UK) Ltd is a rare gas purification systems specialist focused on its core skills in design and manufacture of rare gas purifiers. Sircal has continued to develop its technology since 1981 by personnel with over 30 years’ experience in the gases industry. The GasMan range of gas dividers and blenders, with its highly innovative self-calibration system, was introduced in 1990 and found its way into test laboratories where high accuracy was of paramount importance. The year 2000 saw the introduction of a new model rare gas purifier, the MP-2000, which incorporates many improvements and new features, but still at a highly competitive price. 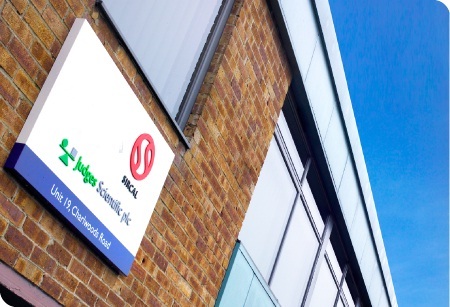 Acquired by Fire Testing Technology Limited (FTT) in 2010 and became a subsidiary company of the Judges Scientific plc, Sircal is privileged to serve our customers worldwide with the depth of resources in R&D, manufacturing, and after-sales support available from FTT and Judges Scientifc. We strive to ensure that our customers receive the same high quality service that they have experienced with Sircal over the years. Rigorous in its quality standard and ability to offer the best price-performance value of its product to customers, Sircal is the world leader in supplying point-of-use argon gas purification systems. Sircal is based in East Grinstead, 25 miles south of London, UK and 15 minutes drive from London's Gatwick airport. CLICK HERE >> for location details.